What to know more about customized solar geyser？ solar fountains are customized, the internal material from solar energy is 304 or enamel, 304 solar fountains are prone to water leakage, and enamel vessels can withstand pressure without water leakage and have many advantages. What to know more about customized sus304 solar geyser? 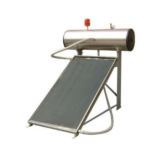 Low pressure solar geyser adopt simple thermal circulation, cold water heated by collector, and then hot water go up to tank, cold water in tank flow into collector, cold and hot water form a natural circulation in solar geyser, the whole tank water will be hot water gradually. Sealing Ring: Excellenrt Silica gel material. Life is twice longer than common Silica gel. SUS304 stainless steel sheet contains less than 0.07% of carbon, about 9% of nickel (intergranular corrosion resistance), and about 18% of chromium (uniform corrosion resistance). The role of Ni in stainless steel is to change the crystal structure and form austenite structure. 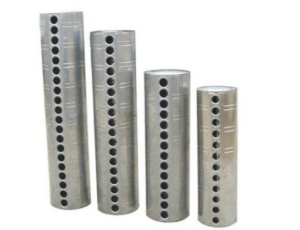 Improve the plasticity, toughness, and weldability of stainless steel. At the same time, SUS304 material is also a food grade stainless steel, which is commonly used in the food industry. This is also in line with the use of solar water heaters. Due to the high temperatures experienced by the circulation line, the glass enamel lining of the solar grade enamel glass tank is much thicker than the standard main pressure water heater. It can withstand the boiling water temperature under very high pressure. There is also a stainless steel water heater that is easily deformed, while the enamel water tank is stable.Enamel water tank basic purchase will not have to consider after-sales.